Want to know how to organize photos into folders easily? 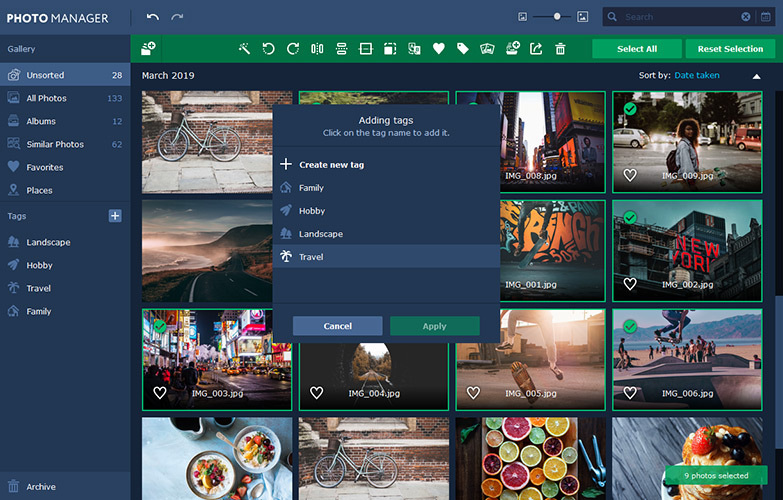 This new photo organizing software from Movavi for Windows and Mac will help you save time managing your digital image collection. 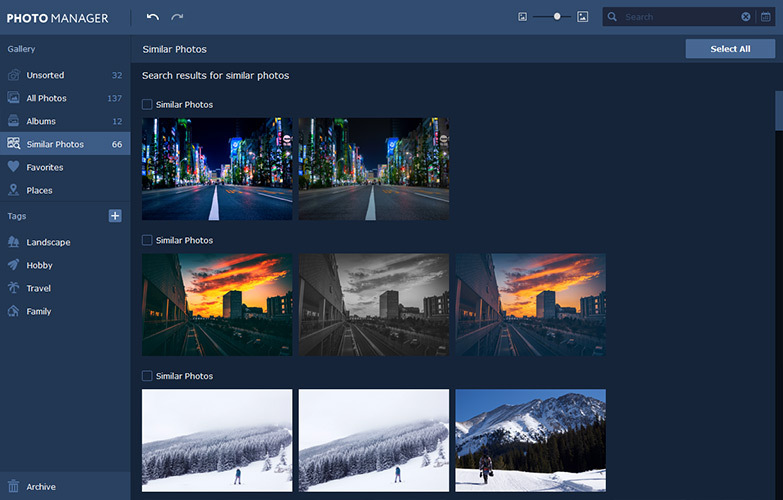 Download our desktop photo assistant and see for yourself how easy it is to manage the images in your gallery! 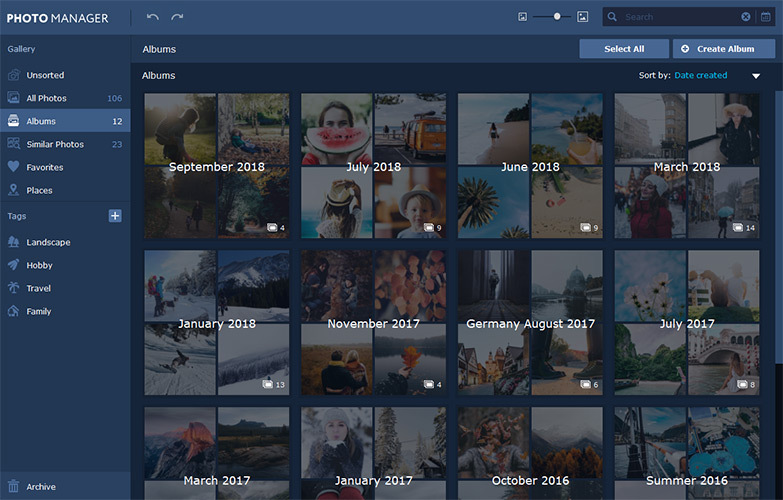 This program will help you manage your entire photo collection, including images in RAW, JPEG, PNG, and many other formats. 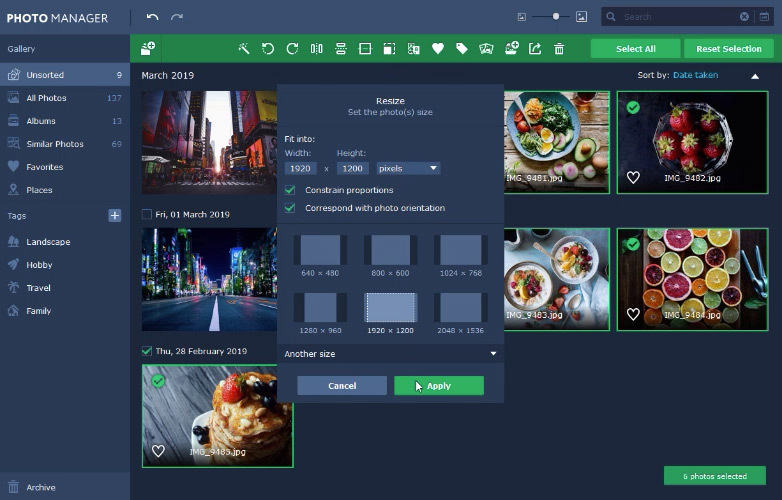 Movavi’s photo organizer will be an essential tool for anyone who values their time as much as their photo collection. 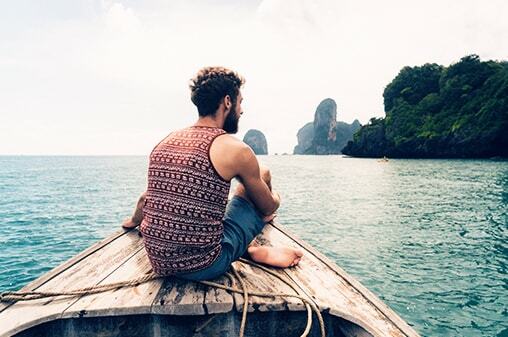 Movavi’s photo organizer will automatically sort your images by date and GPS coordinates. Add tags to image files using Movavi's picture organizer so you can easily navigate around your photo library. 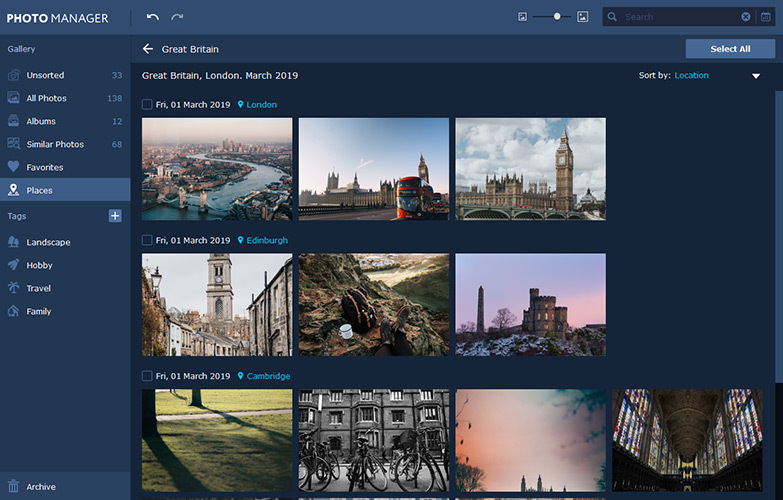 Review the automatically created photo albums sorted by country. Filter images in these albums by city. The program automatically selects visually similar images. You can edit them together, add them to an album, or choose the best and delete the rest. Quickly find and remove duplicate photos from your hard drive to free up disk space. You can also delete duplicates from any list of photos added to the app. 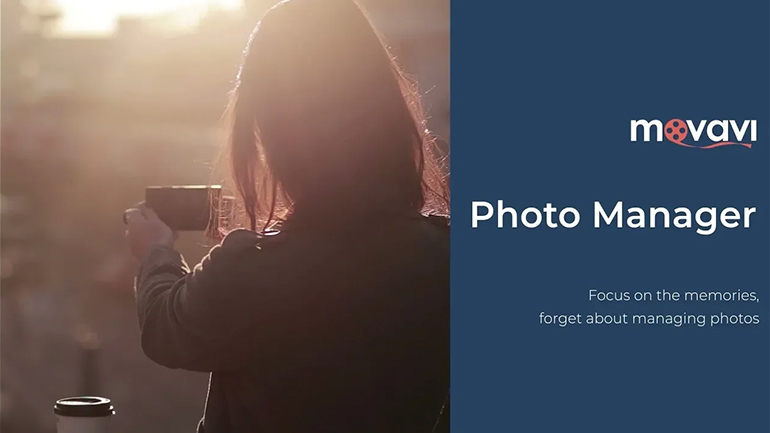 Work with individual photos or edit multiple photos simultaneously: crop, flip, and rotate images, straighten horizons, and more. 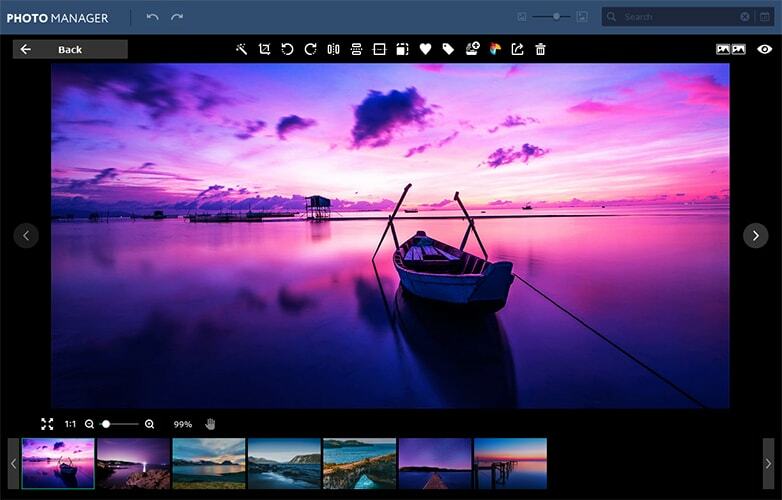 View photos in many popular image formats using Movavi’s fast and reliable picture organizer. 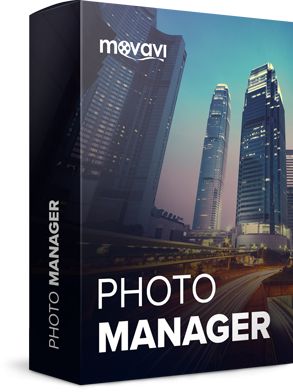 Movavi’s photo management software for PC and Mac will organize all your image files in no time. 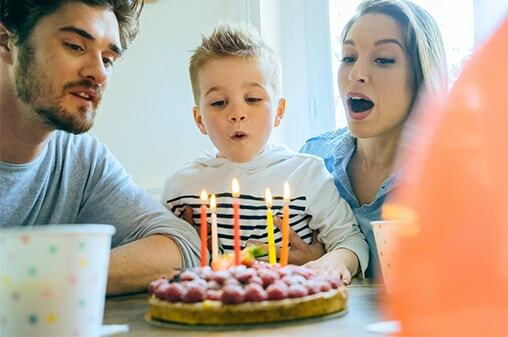 Just sit back and relive those precious moments with your family or share vacation photo collections with your friends – no more work required! and Movavi Photo Editor at the click of a button. 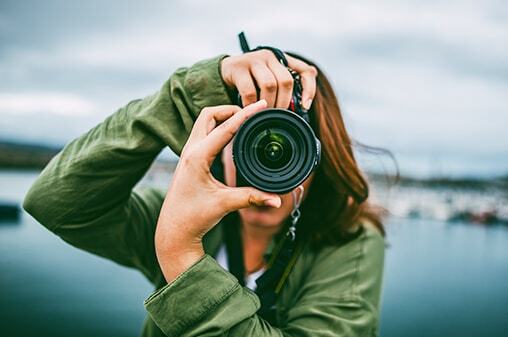 Easily find pictures in your photo library that were taken in a particular city or country. Tag images to sort them by event. Add the best pictures to your favorites. 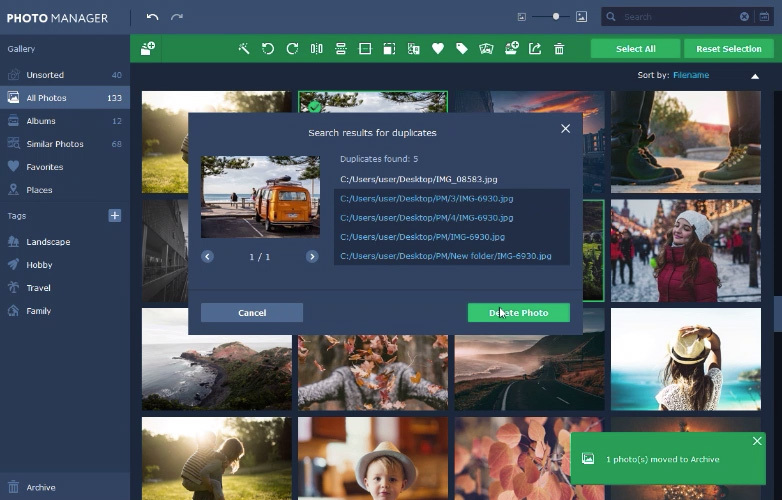 Manage, view, and edit photos using Movavi’s organizing system. Unfortunately, correct processing of large image files with dimensions greater than 6000×8000 pixels cannot be guaranteed.